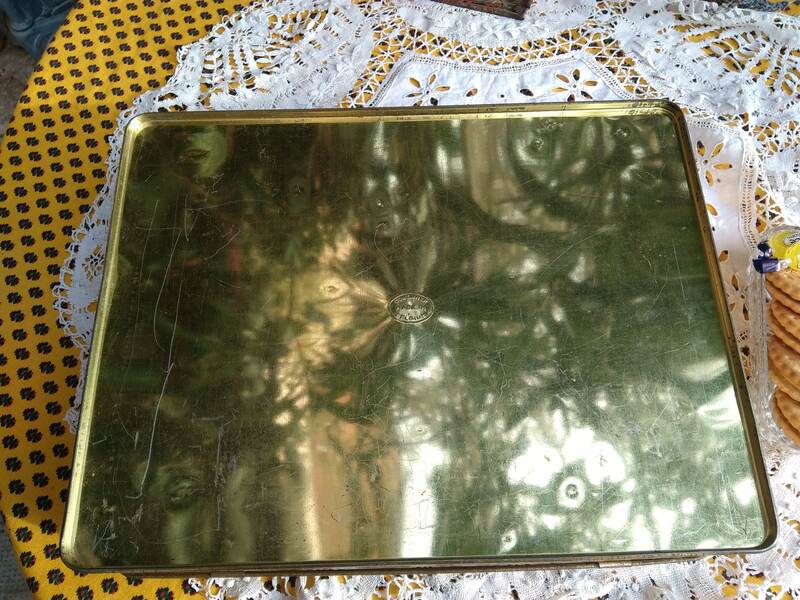 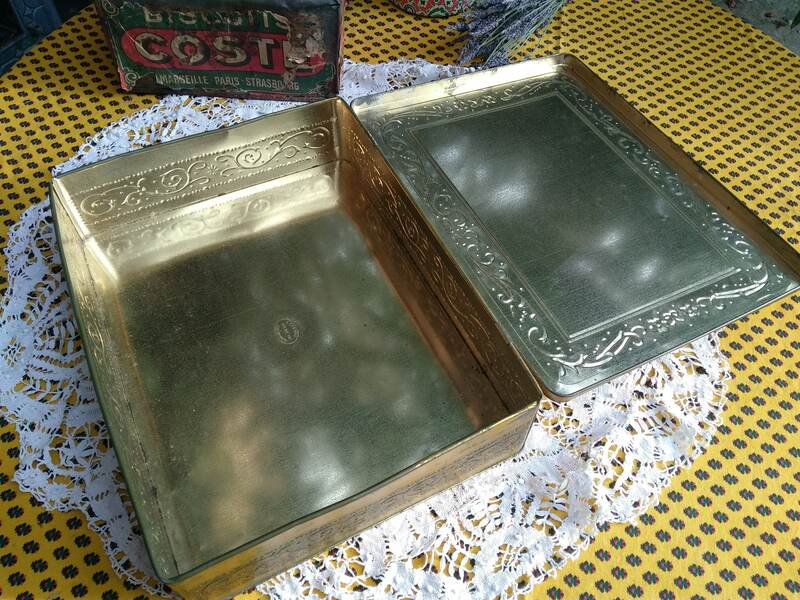 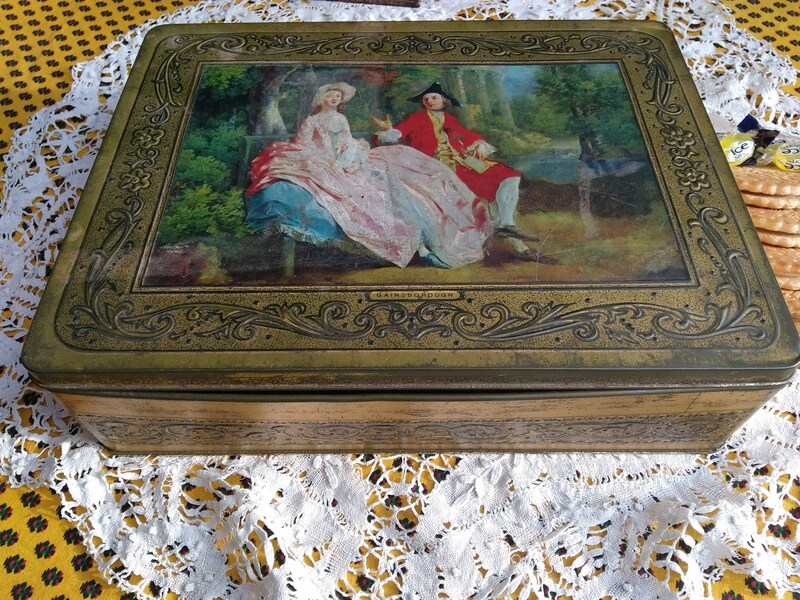 Antique Thomas Gainsborough gold tin box. 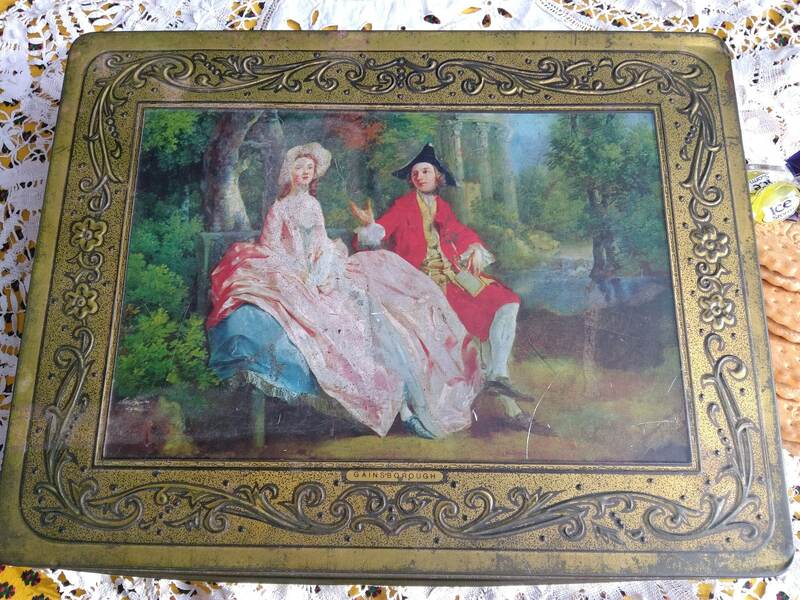 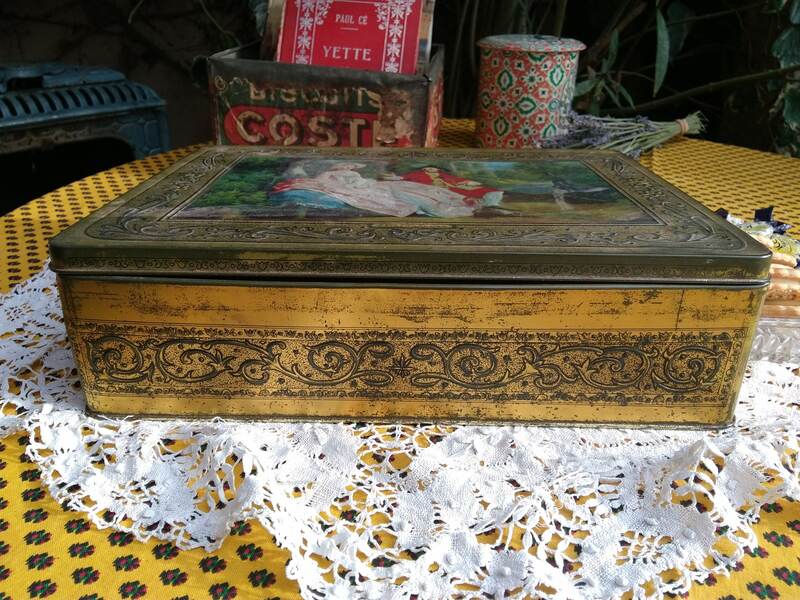 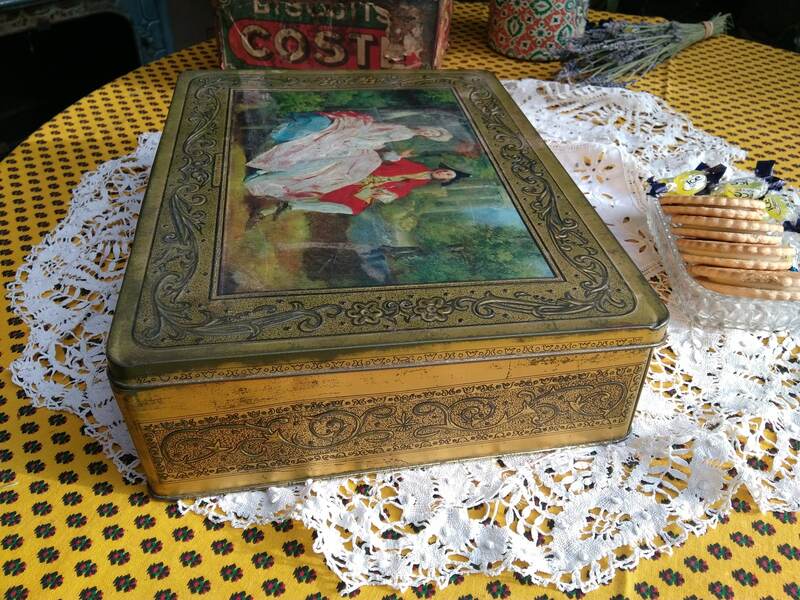 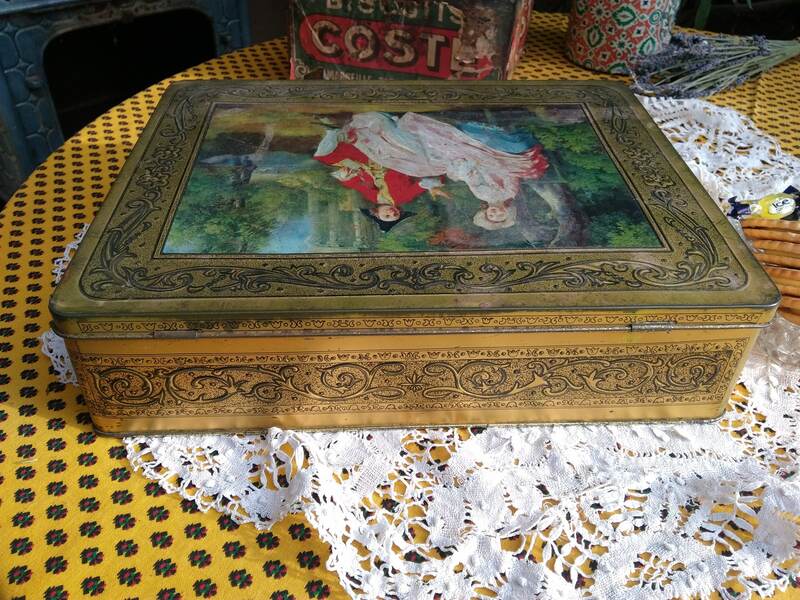 1950's box showing 18th Century Romantic scene. 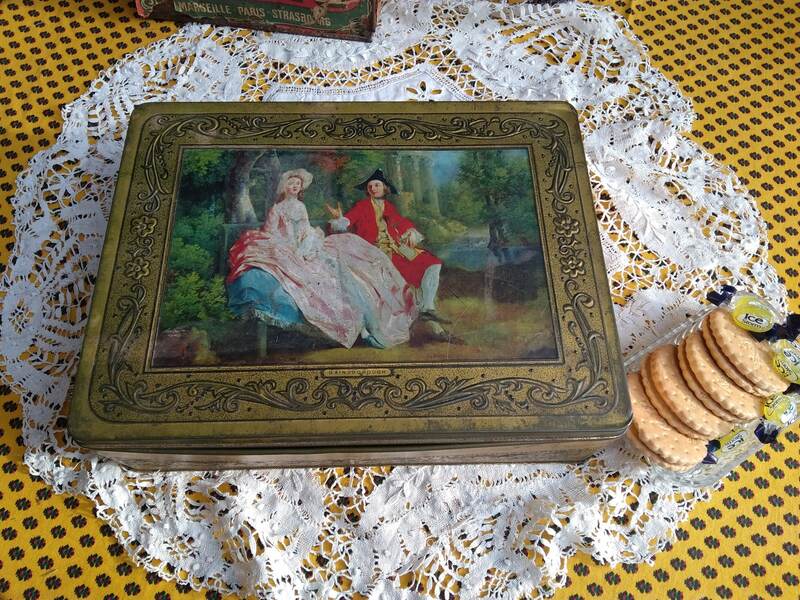 Thomas Gainsborough 1727 – 1788 is a Master English painter from Suffolk. 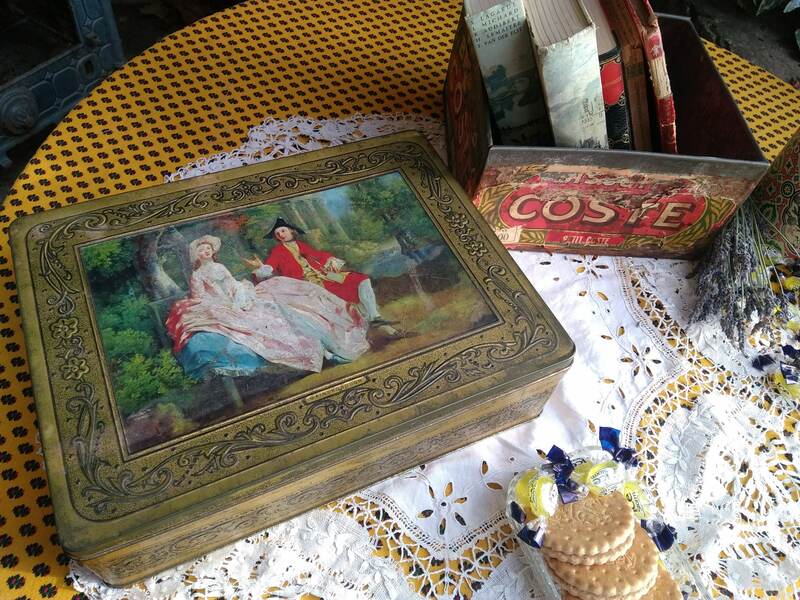 He's famous for his portaits and landscapes. 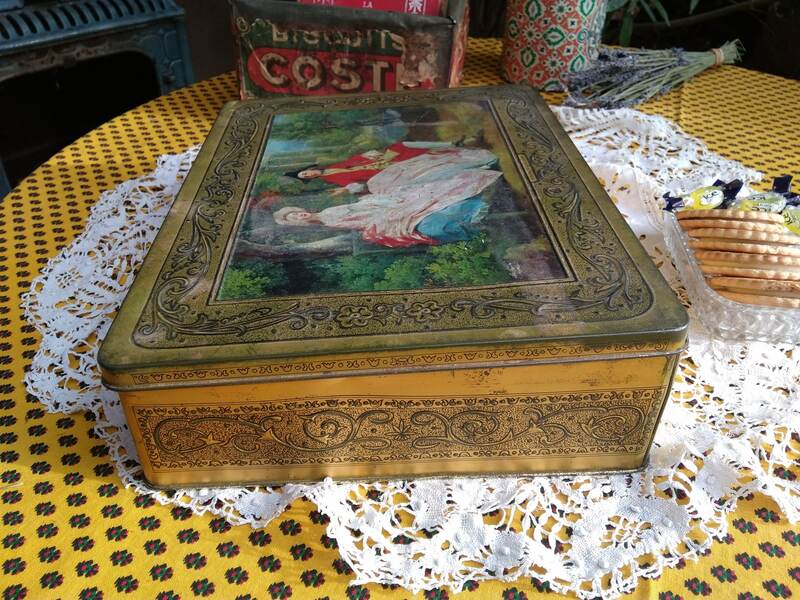 Box Size : 12.8 x 9.8 X 3.5 in.